The Swell Team is amazing! In 7 days they successfully taught me how to surf. We had an absolutely wonderful time. My husband and I were traveling together and enjoyed the camaraderie and community that swell offers. The accommodations were perfect and the food was amazing! I have a gluten allergy and the chefs were so kind to always have options for me at each meal. Everything is planned for you the moment you arrive and you can truly relax and enjoy your vacation. I would give them ten stars if I could. 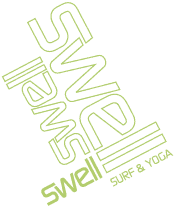 Highly recommend Swell Surf Camp! !